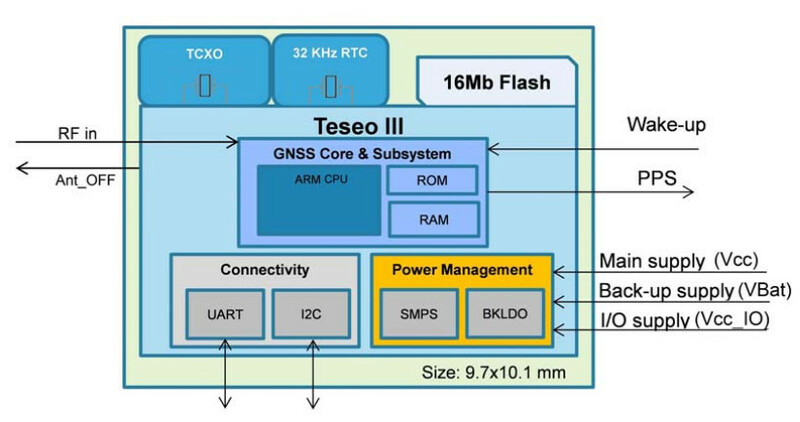 STMicroelectronics offers the first GNSS modul (Global Navigation Satellite System) called Teseo-LIV3F. The module could be interesting for your project beacuse it contains a few useful features. The GNSS module supports GPS, Galileo, GLONASS, QZSS and also BeiDou. The dimension of module is 9.7 x 10.1 mm and the communication interface is standard UART and I2C (100/400KHz). 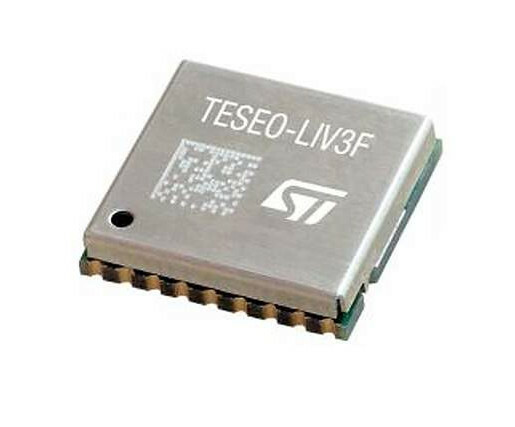 The Teseo-LIV3F module contains temperatured-compensated 26 MHz oscillator for higher quality data receipt. Except of this feature you can use real-time clock (RTC). The I2C address is configurable through "firmware configurator" (PC Tool Teseo-Suite Light). The The firmware of module can be easily updated. The power consumption of GNSS module can be affected by two standby modes - software and hardware standby. When you use hardware standby mode, the consumption is wonderful 6 uA, if you use software standby mode you achieve the power consumption only 12 uA. The module also contains "data logging" feaure. The position data can be saved up 12 hours with 1 Hz and you can use standard or circular buffer. Teseo-LIV3F contains odometer, the measurement of distance. The price of module is 15 USD and it's available on digikey.com.